Hanoi is the capital of Vietnam and it’s known for its centuries-old architecture influenced by France and China. The city revolves around a bustling old quarter that is filled with street sellers down each side and motorbikes swerving down the middle. I’m pleased to report that, although I got close, I managed to go two whole weeks in Vietnam without being hit by one! Our flight here was probably the most uncomfortable hour of my life but I’m so glad we picked it over a 17 hour bus journey! Our airport pickup took us to Vietnam Backpacker Hostel in the Old Quarter and we instantly felt revived and ready to party. 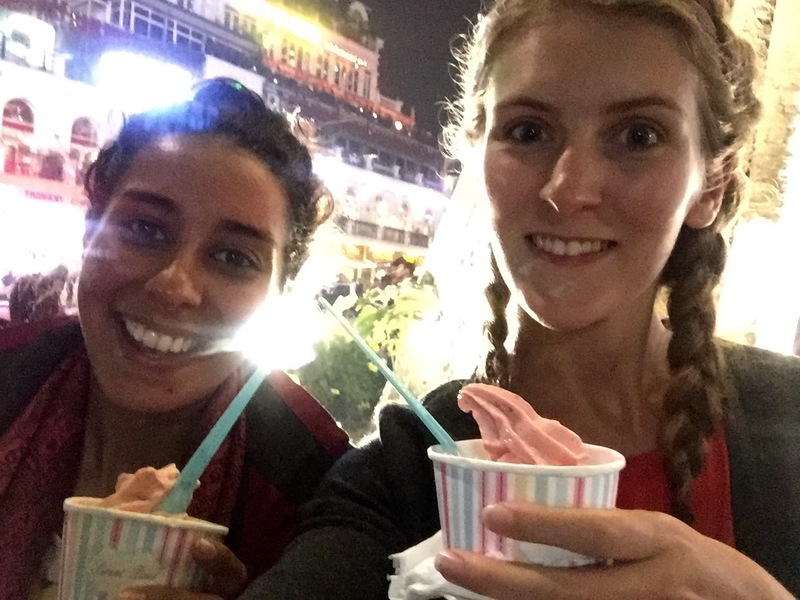 After sussing that we were probably the only two girls in a 12 bed mixed dorm, we decided to go and mix with other backpackers and enjoy the hour of free beer. Yup, you heard that right. Free beer every single day. My brothers would be in heaven here! After some beers and dinner, we had some more beers and 2-4-1 cocktails for ladies hour and about half 11, we all went out on a bar crawl. I’m not really sure what happened but the bar crawl seemed to fall apart and people split between two bars. We didn’t like the bar and were still very sober so we got some food and went back. The next morning was the most expensive morning of the whole trip. 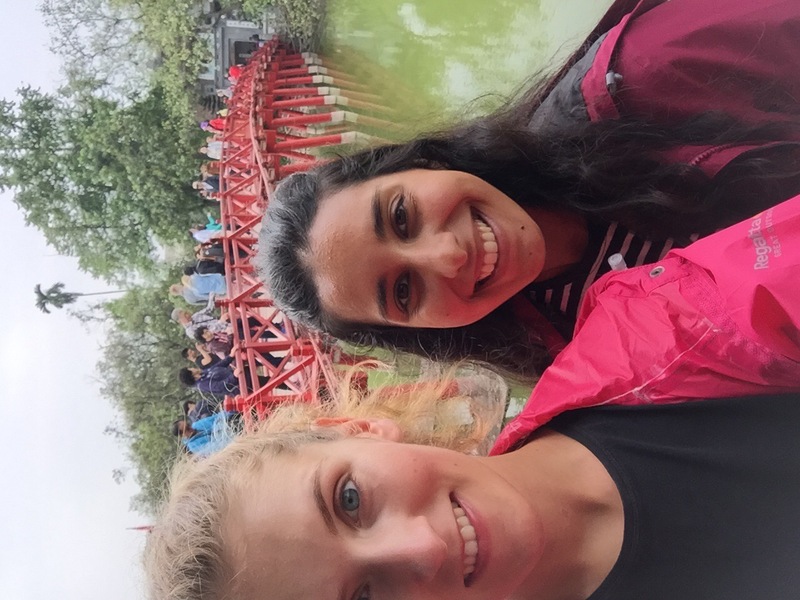 Whilst enjoying our free breakfast we decided that we wanted to do the hostel’s Castaways Tour in Ha Long Bay. It looked absolutely incredible but I nearly cried handing over the money. To make ourselves feel a bit better we had a nice cheap day of activities. 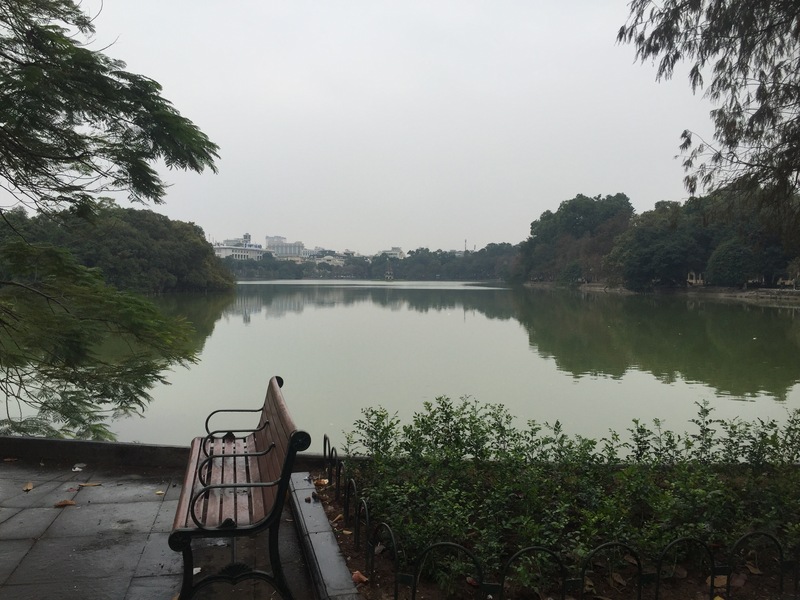 We went to the Hoan Kiem Lake which is the main focal point of the city with a temple in the middle. 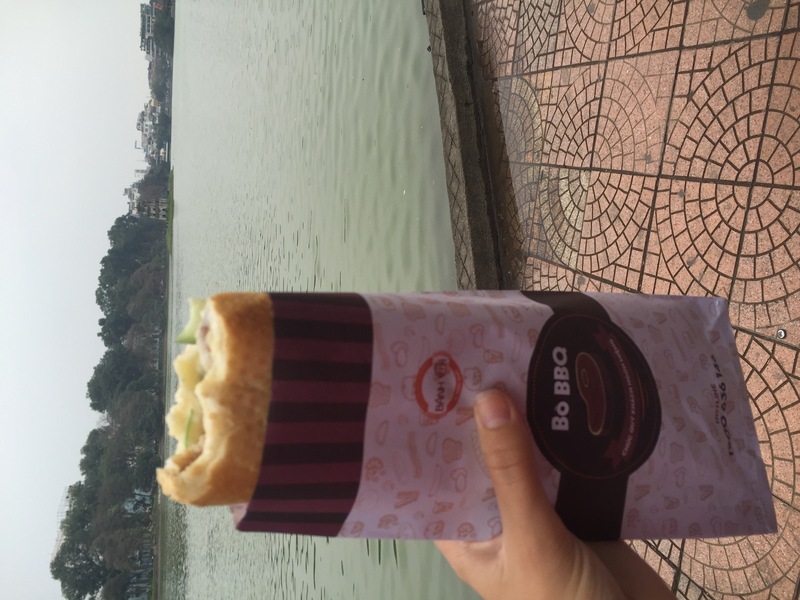 The lake is surrounded by cafes and restaurants but we opted for a small takeaway restaurant called Banh Mi. Banh mi is a meat sandwich and a very popular Vietnamese food. This particular one was made by an ex contestant from Vietnam’s version of Masterchef. It was very nice but the meat was gristly which ruined it a bit. 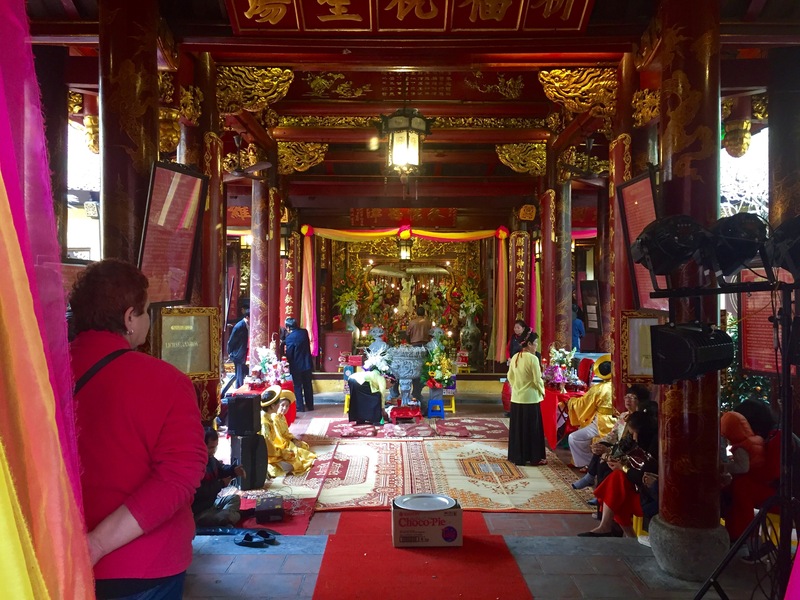 After lunch we went to have a look around the temple on the lake called Ngoc Son Temple (The Temple Of The Jade Mountain). It has a lot of Chinese influence to it such as Chinese writing and animals from when China had control of Vietnam. It is mostly black and white which symbolises the balance of life. 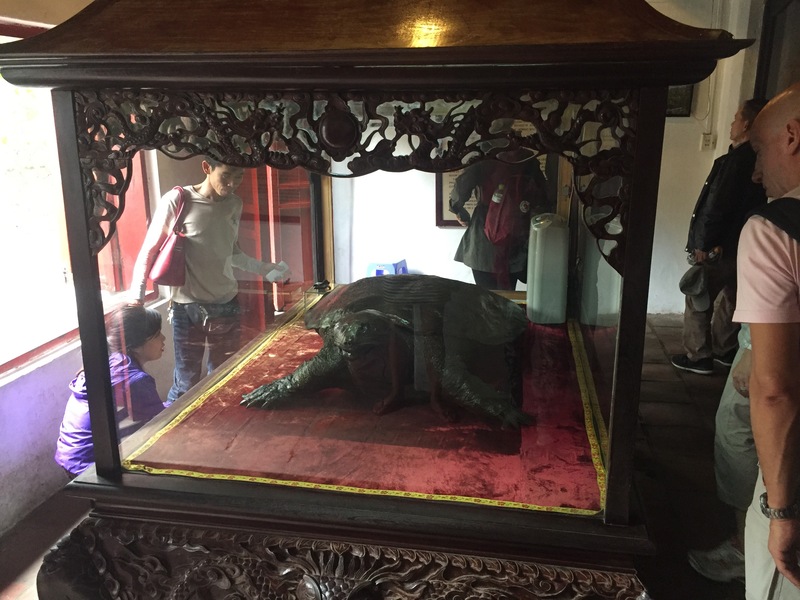 There is a story that once, after Vietnam had won a battle against China, a large tortoise rose up from the lake and stole Emperor Le Thai To’s sword that he was given by the Golden Turtle God beforehand. He believed that the god must have given him the sword just for the war so the lake is also called the Lake of the Returned Sword. Some people say the turtle still lives there but not many people have been lucky enough to see it. 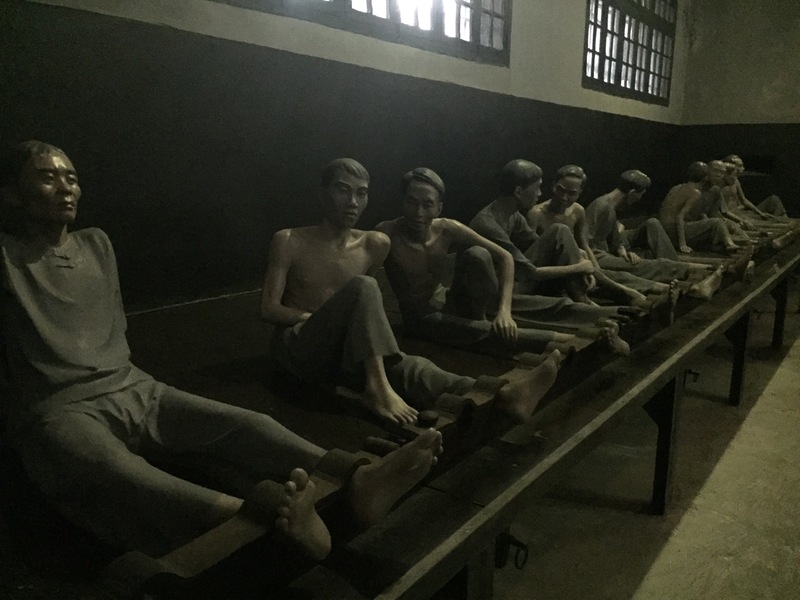 We then went to the Hoa Lo Prison. In the last few weeks we’ve been to a lot of museums and seen a lot of morbid things and we swore that we didn’t want anything depressing for a while. That didn’t work out very well for us. 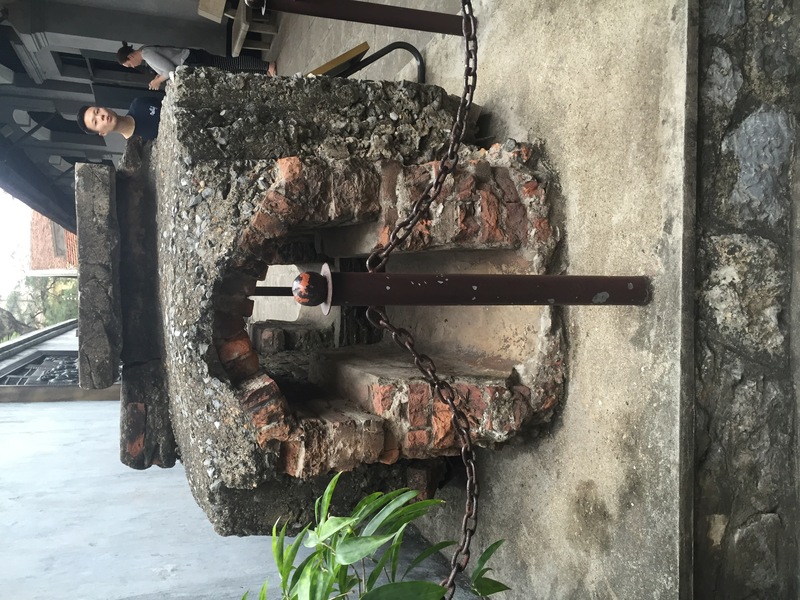 Hoa Lo Prison was active from 1896-1993 and used to be a trade village until French colonialists moved the hamlet and built one of the largest prisons in the country at the time and a court house. The complex covered 12,000 square metres. 1651 prisoners were brought here during its busiest years of 1896-1954 and women and their children were treated the worst. 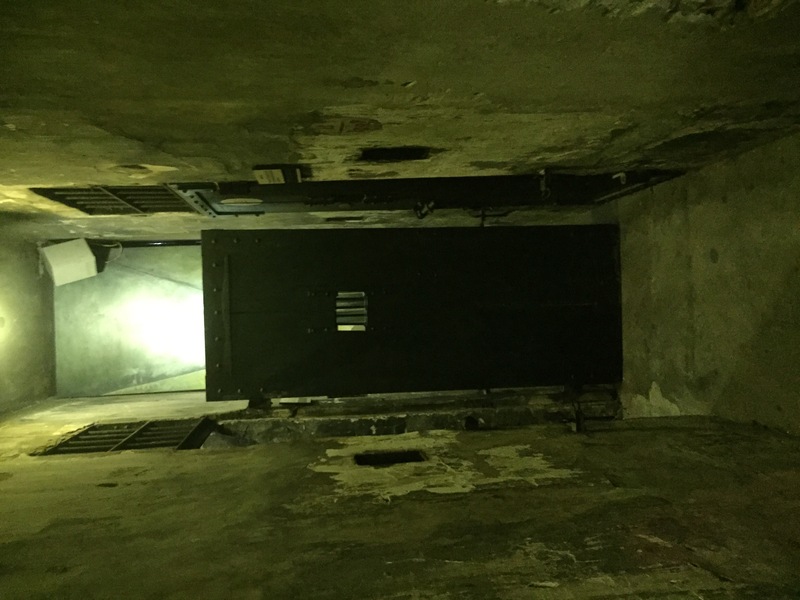 They were chained together in large groups and kept in big, stuffy, crowded cells. Revolution still happened within the cells and papers with notes were hidden between the bricks. Some managed to escape through the small sewage pipes but others were sentenced to death. 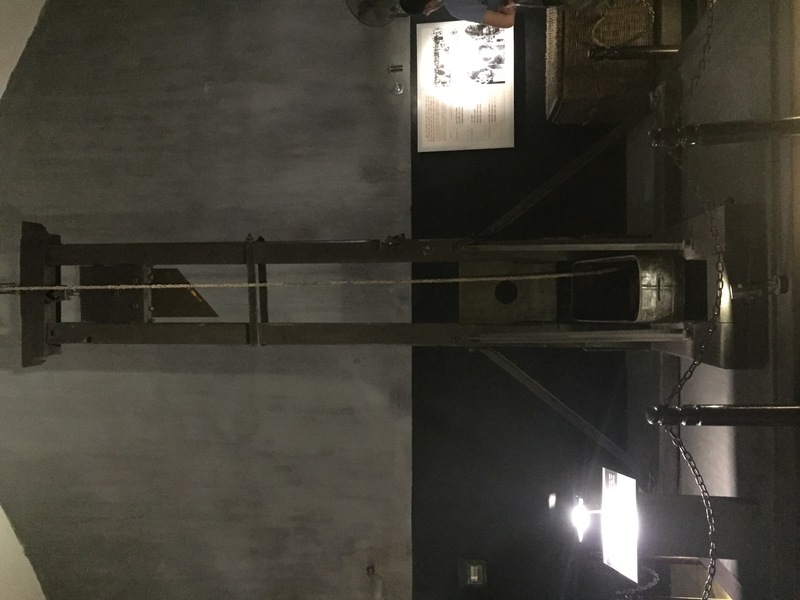 In the museum you can see one of the two original guillotines. 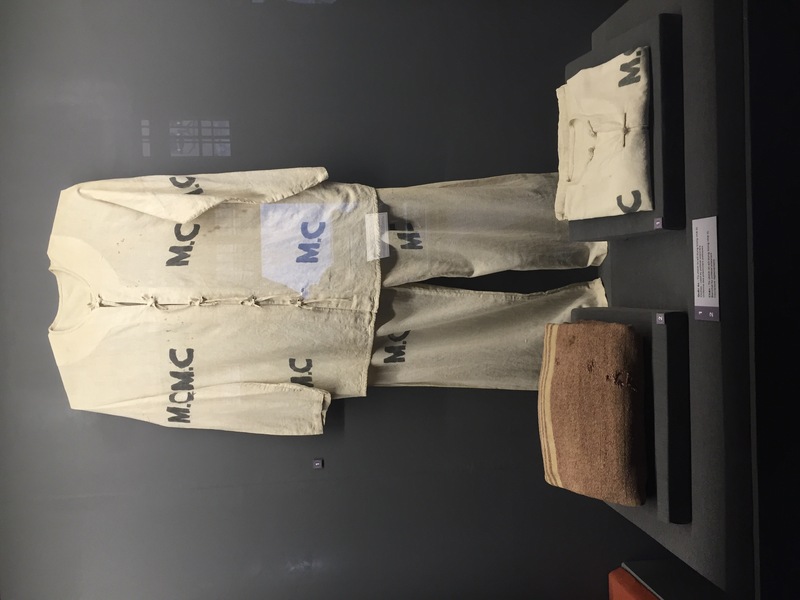 The prisoners that were treated the best were, surprisingly, American POWs. They were given comfier cells. were able to communicate with family back home occasionally and even celebrated Christmas. They were taught a lot about Vietnam and Vietnamese culture to show them what they were destroying when they were fighting the Vietnamese in the war. We had a bit of a weird moment whilst in this gallery when I overheard a man asking a stranger to take his picture in front of a display and then explain to them that he man in the picture is his father. We walked back past St Joseph’s Church and had a rest for the afternoon, not fancying the free beer. 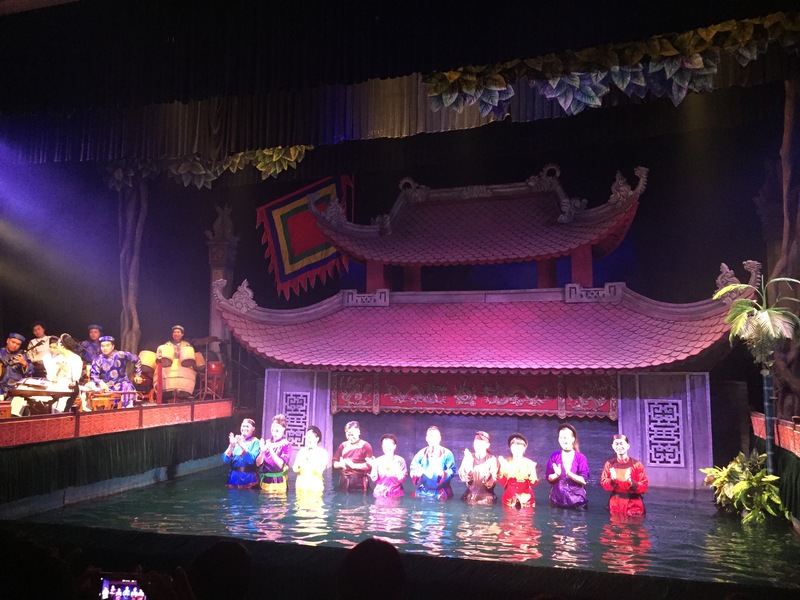 We then went to the Thang Long Water Puppet Theatre which has been showing 4-6 shows a day every day since 1994 and also holds he record for the longest puppet show ever. 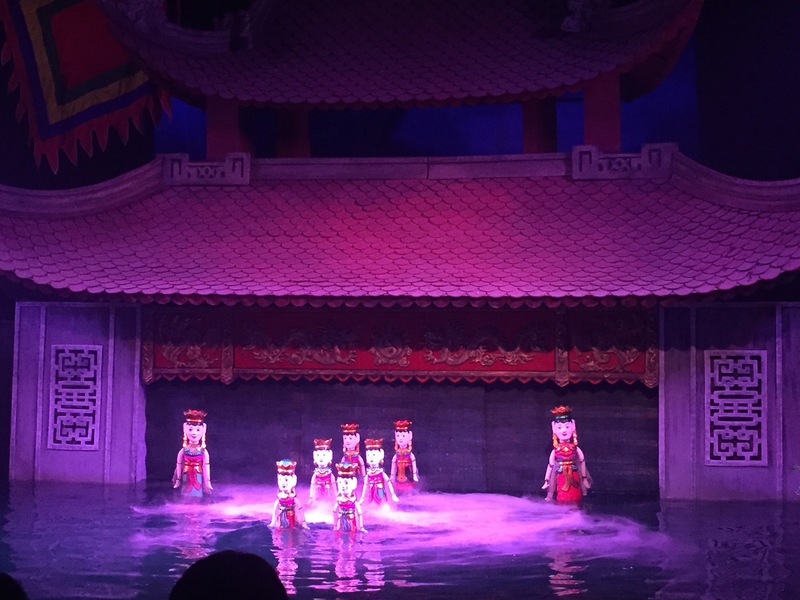 Water puppetry is an art that dates back to the 11th century. When the Red River Delta in Northern Vietnam flooded, farmers would put on one of these performances. 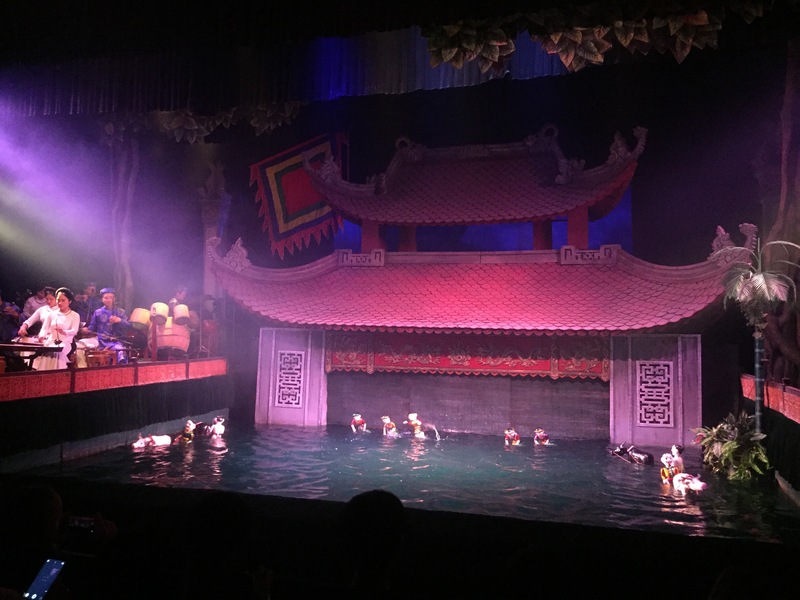 It is performed in waist high water and the puppeteers stand behind a screen with the puppets on the end of a long bamboo stick to give the effect that they are standing on the water. We saw 14 of the 400 items of the ancient Vietnamese puppetry and my favourite was called Catching Frogs. There were a few frogs jumping along the water and a man frantically waving a fishing rod. In the end, he somehow takes the frog off its bamboo stick and it’s attached to the end of the fishing rod. There are a lot of clever tricks that can be done and i throughly enjoyed it. 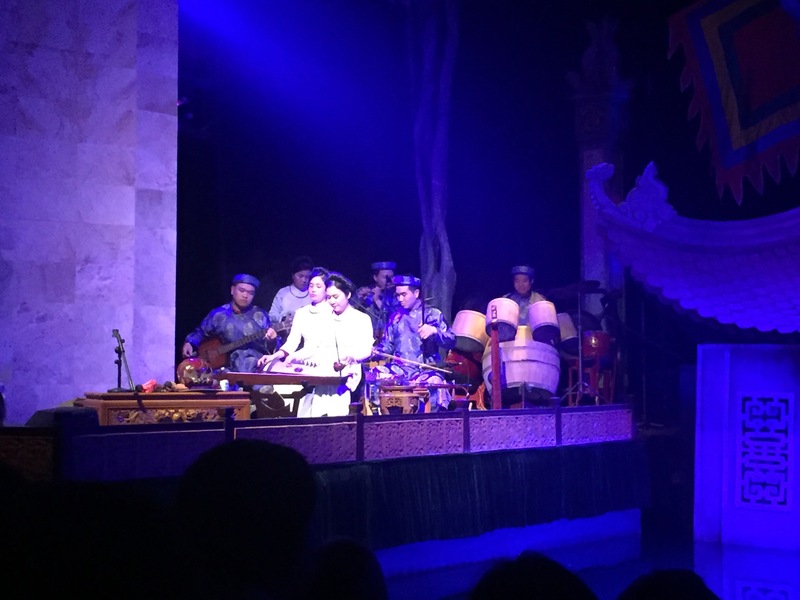 All the pieces were done to traditional music (with a little bit of Vietnamese talking) and there was a small orchestra of traditional instruments including things I’d never seen before like a one string harp! The next day we were up early for CASTAWAYS AND HA LONG BAY!! But to save a really long blog post, I’ll put those three days in a separate blog. We got back from Castaways about 5pm. We were both tired and broken from the whole weekend. I had an awful cold but luckily my bed was right next to the bin so all my many, many snotty tissues could be easily disposed of! We stayed in an all girls dorm after the horrors of the mixed dorm (I’ll explain in my Castaways blog) and slept so much better than before! 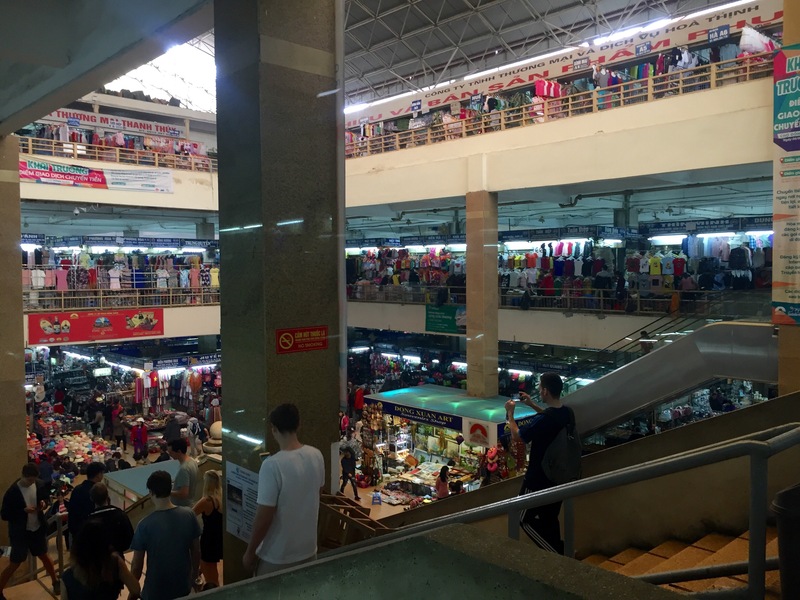 Our next stop was the Springfield Market which burned down in 1994 but was rebuilt in 2012 making it the largest local market in Hanoi. Just outside on Springfield Street is where the street night market is held. Our guide asked us if we wanted to try egg coffee which is traditional to Hanoi. Yes, you did read that right, I said egg coffee. With actual egg. It’s basically just a black coffee with an egg white whipped into it. I tried some of Ammun’s and it just tastes like coffee which I hate so I can’t recommend it to all. 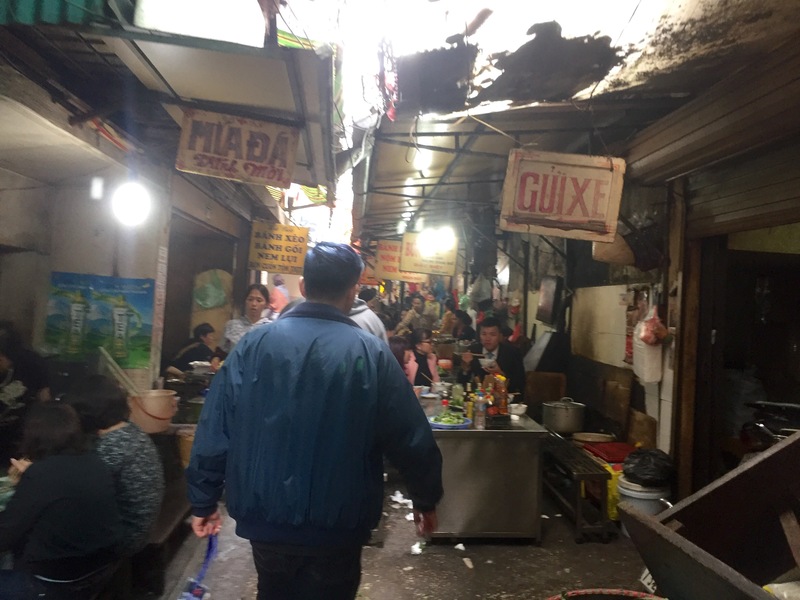 Our final visit was to a small alleyway that was filled with food stall and our guide asked if we wanted to try a traditional dessert soup called chè. It looked gross and I felt so ill anyway so I didn’t try it. I don’t even know how to describe what this pudding is. Look at the picture and imagine some being liquids, some jelly and some like alien slime. During the tour we walked past one of our little guilty pleasures on this trip: a Mexican restaurant. 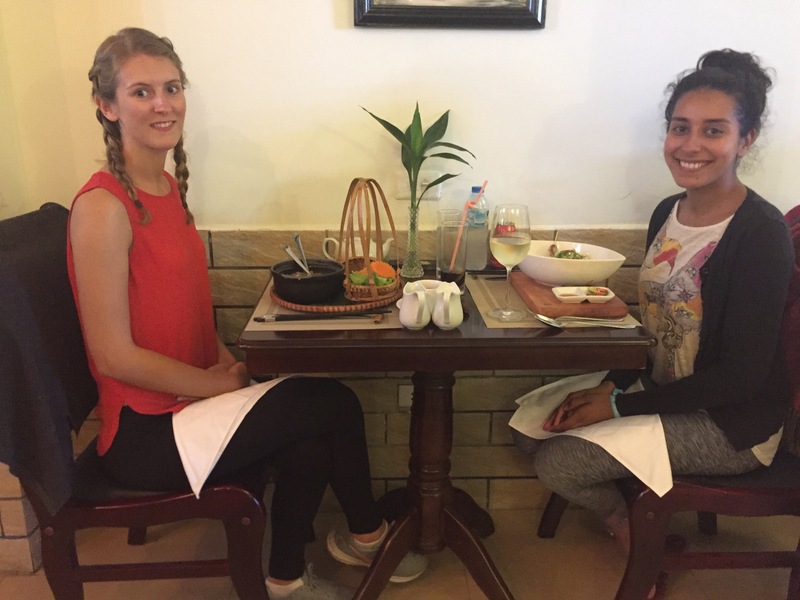 We know we should be trying local food but if Mexico calls… The afternoon was spent trying to sort out next week in Laos and how we’re then getting to the South of Thailand and it’s a logistical nightmare. We had so many routes and prices going around that we took the obvious option: take a nap and hope it all sorts itself out. For our last night in Vietnam we felt obliged to have traditional Vietnamese food for the last time (although apart from Pho I still don’t know what that is!) and went to Tripadvisor as usual for advice. 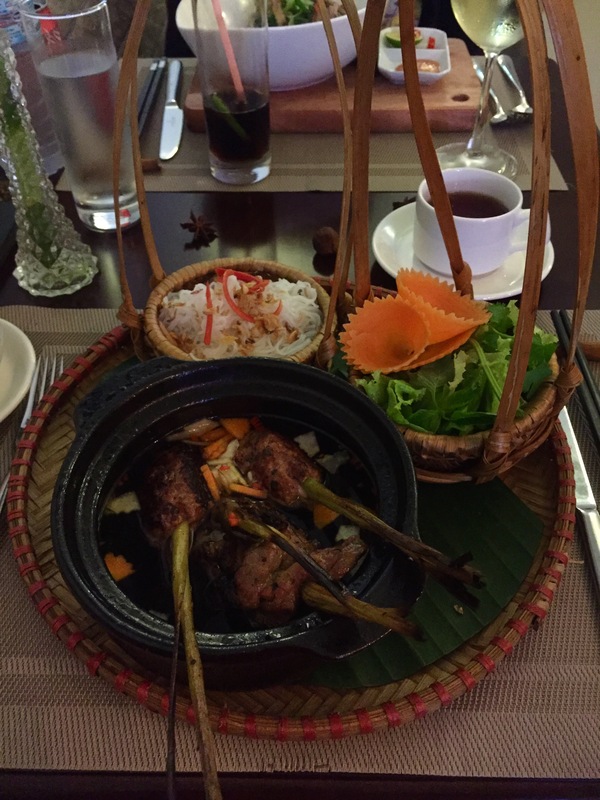 The number 1 restaurant is called Duong’s restaurant and the reviews were so good that we had to go no matter the price! The head chef was a contestant on Vietnam’s Top Chef so we’ve been cooked for by some great chefs this week! I ate a traditional Hanoi dish called bun cha (marinated grilled pork) which came with fresh rice vermicelli, salad and an amazing sauce. It was very sweet but possibly one of the best things I’ve eaten on this Asia trip! 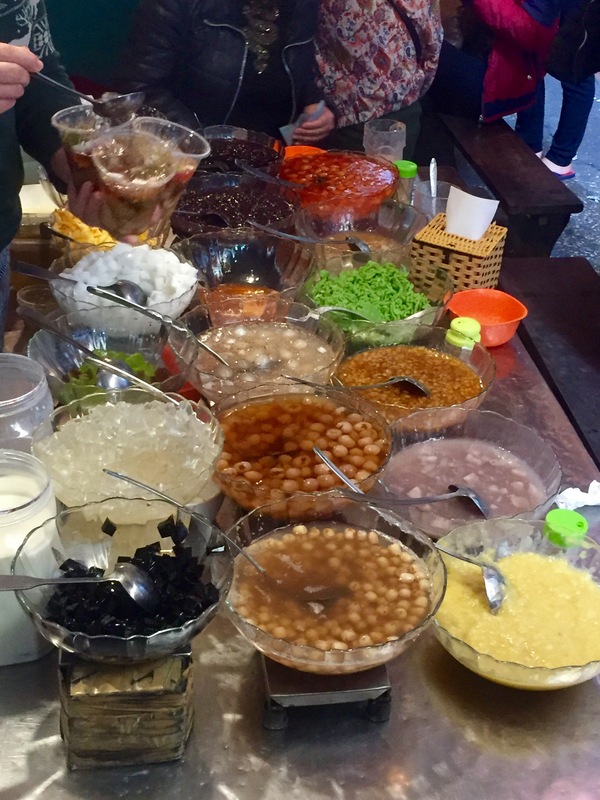 If you ever find yourself in Hanoi, you HAVE to go and taste it! Ammun ate pho and that was also amazing. We were also given a small starter which I can’t remember the name of and a special tea for free so it was very good value for money! We decided we couldn’t afford a dessert there as well so we walked back to a froyo place that we saw on the way. We sat and ate it by the lake and soaked up the Friday night atmosphere. 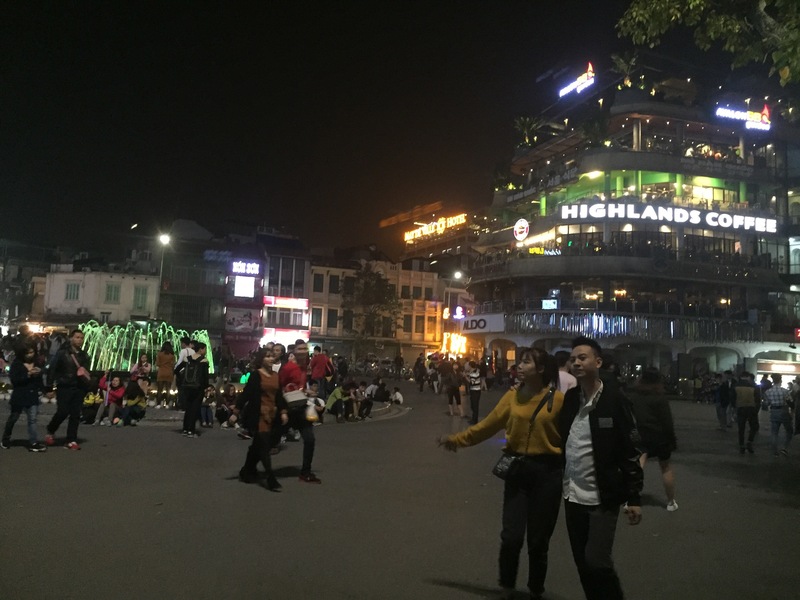 Most of the roads had been cut off from traffic and people were socialising, playing sports, selling things in the night market and generally having a good time. It was so nice to see a busy city all come together to spend time with friends and family on a regular basis and we went to sleep feeling very content. 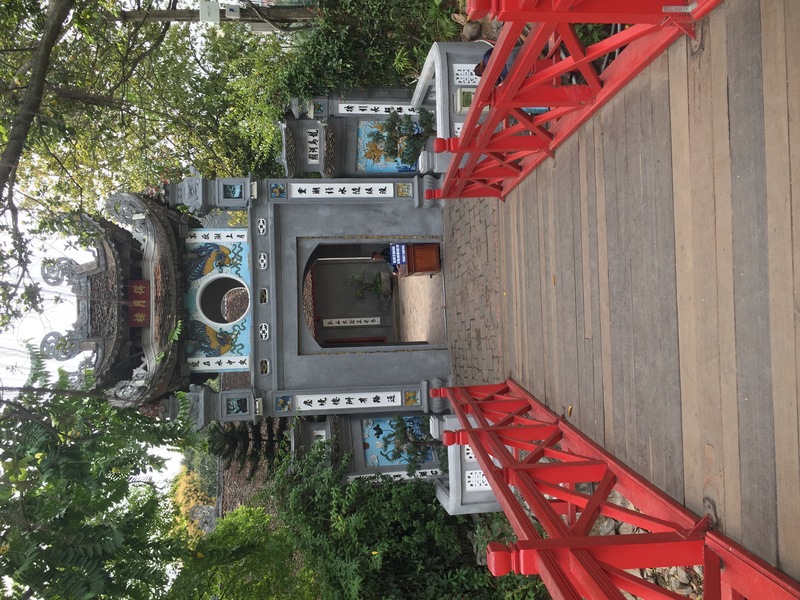 Our time in Vietnam has been incredible and Vietnam has given us everything from deep jungles to busy cities and from thriving taxi drivers to overly excitable, welcoming hotel staff. We’ve eaten traditional food, seen traditional theatre and drunk a lot of traditional beer (if you can call beer traditional!) I’m sad to be saying goodbye to Vietnam and all its food and all the awesome people we met but I’m excited to move on to Laos and experience another county and it’s culture. Hanoi is a beautiful city as are the Vietnamese people. You brought back memories for me. The temples and lakes look so serene. 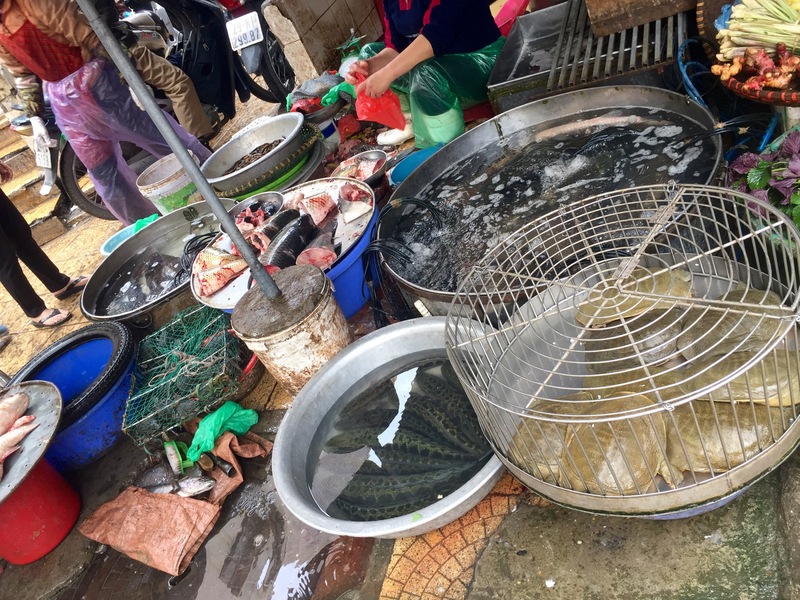 I admire the Vietnamese culture as it is vibrant and lively yet calms you in a strange way. 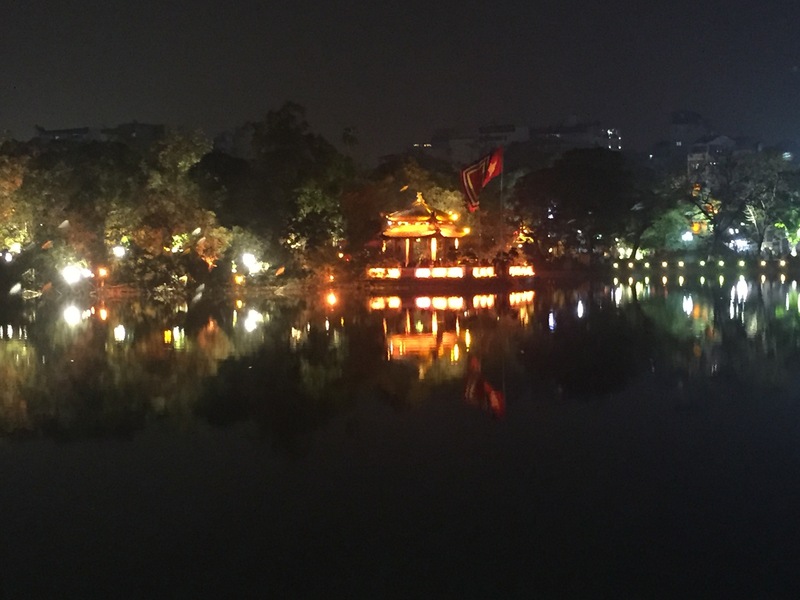 Hanoi is simply beautiful!